This update comes almost three years after Kingdom Hearts Series Director Tetsuya Nomura first teased the arrival of a new world, one that both hadn't appeared in the series yet and whose character appears as a summon in Kingdom Hearts 3. Those familiar with the games will recognize that the only character to fit the description is that of Wreck-It Ralph himself. "Almost three years" makes me want to cry lol. Glad to finally have it though. Really hoping they do something interesting with it (and then put it in a better game later). Get it? Because Sugar Rush? Finally. Apologies in advance for all the heated debates I got myself into thinking that this world would be in Kingdom Hearts III. In retrospect, Big Hero 6 was the data world for Kingdom Hearts III, so I can see why Wreck-It Ralph was not in that game. I initially had a theory that Verum Rex was the world where Sora and Riku meet Wreck-It Ralph because Verum Rex is a video game. Seeing game central station makes that slightly more plausible, if Ephemer can access it then so can The Master of Masters. It's time for more filler stuff, this time with a literal sugarcoating! Can't wait. Well it's finally here I guess. I don't have much to say, just hope that Game Station can make its way to the series proper next saga. Woah. Hard to believe it's been so long since it was teased. I was on Team WiR during speculation, but I do hope the world refrains from some of (if not all of) the sequel's contemporary/internet-related story. Glad to see a shiny, new world up in here. 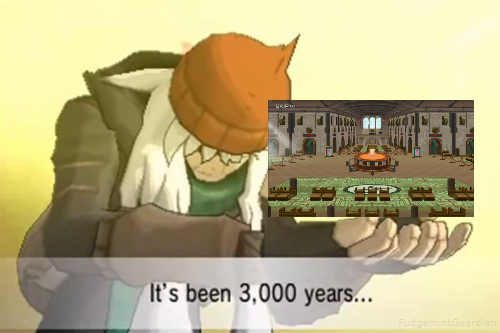 We all waited three years to get to this point. I can't believe it took so long. I have to admit, the people who spent countless months begging for WIR in KH3 have kinda soured me on being excited about this, but it isn't anything that a good sit down with Ralph Breaks the Internet won't fix. Took them long enough (again), but considering the lack of Disney Worlds in KH3, Wreck-It Ralph should have had its debut in KH3. Ralph link feels out of place because links are about bonds Sora shares with characters he met on his journey and unlike all the others, he never met Ralph. Since it's a new World the next story updates should be interesting, even though this game will always be boring in my eyes. Chicken Little also felt out place in KH2, yet it was in the game, it's the same with Ralph. It's good the world is finally here, now we can get it over with. I'm anxiously awaiting Goldpanner's translation because I still don't grasp Brain's explanation of the current KHUX worldline situation. I find it interesting that it's released in the KHUX storyline. I bet that it will have something to do with Verum Rex/Yozora in future KH games. Honestly very excited we finally got Wreck-It Ralph confirmed for Union X. Honestly I think they did had a Wreck-It Ralph world planned for KH3 but scrapped the idea when they heard that Disney was doing a sequel to Wreck-It Ralph and decide to have it be the Union X world instead and Ralph be a link summon. 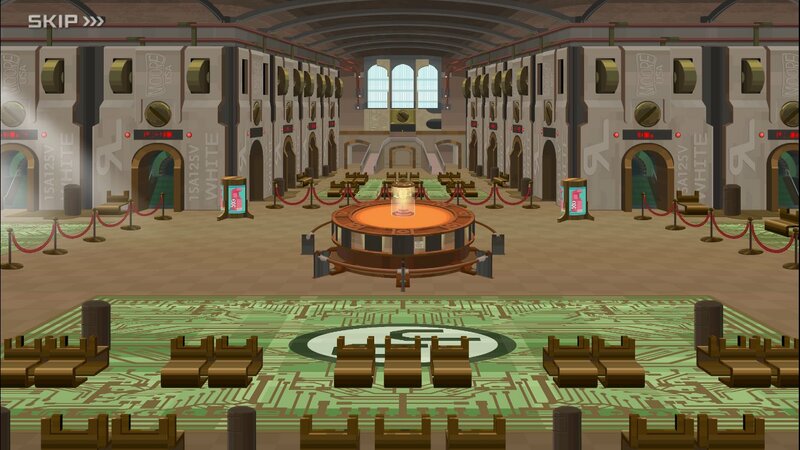 It's unfortunate as Ralph would've been a spiritual successor to Tron and have the world be located either at the Old Mansion or a Taito Arcade Building in Twilight Town. I agree basically Ralph was included as summon due to promoting Ralph Breaks the Internet. Since this is a future world in the past, does this mean that we'll maybe see Grand Central Station in the titles that comes after KH3? Going by the translations that are circling I'm going to say yes and no. Yes I do think we might see this world later in the series, but no in that it's not quite a future world or a past world it's kind of just A world. I doubt it really confirms things either way on that front, I think they may want to utilize it more in a game that allows it to be integrated into a "regular" KH game (like one where Ralph and hopefully Vanellope could be involved in combat or something instead of just being stupid medals lol) But yeah, I guess I could see it going either way. I guess I whatever approach the next saga has toward Disney worlds could make that clearer, if anything is different about their approach at all of course. Maybe this can be a world that can connect present time KH with KHUx era? guys i really want luxord's somebody to be a key character in this world because of his love of games. prayer circle for me. Maybe Luxord is from this world? It would explain his obsession with games, and having a Wild Card effective enough to change Sora's fate. well i don't think they're ever going to let/have original characters originate from disney worlds, but that'd be nice if they started. more likely though i think he's just a dandelion, but maybe if Player gets partnered up with them for missions that could be neat. Oh, yeah. lol He's from Daybreak Town. Maybe this is when he enters into the story?